DarkZero secures a comfortable lead, while Evil Geniuses stumbles. With matchday 11 at the R6 Pro League finished, we take a look at at how every match went down. Both Michael “KiXSTAr” Stockley and Parker “Interro” Mackay noted that Spacestation Gaming’s absence from matchday 11 will count as a bye week, and they will see no points awarded or taken away, but this means that Spacestation will miss out on a potential 3 points. Rogue and Team Reciprocity set the tone for matchday 11. Teams settled on Oregon as their map of play. The pre-stream survey put both teams on even ground, seeing only a five percent difference in the vote. Rogue entered the day in fifth position and looked to put some points in their pocket to help them ascend the ladder. Meanwhile, Team Reciprocity looked to come back from a slump. While the team sits at a close third place with a gap of only two points between themselves and Evil Geniuses, they will need all the points they can muster to become a viable finals contender. Gabriel ”LaXInG” Mirelez, of Reciprocity, started out the day with a clutch retake on Basement as Alibi, thusly denying the lone Rogue Jackal from holding the site in a one-vs-one situation. It was quite the display to ward off fans who would criticize the choice to take along an Alibi instead of a Bandit, Mira, or Kaid. Rogue did not let Rec’s round one win go unanswered, whittling Reciprocity down to a four-vs-one situation with the diffuser deployed. Davide “FoxA” Bucci and LaXInG looked to be the players to take off the board early, considering that either going down first typically resulted in a lost round for Rec. Both players sat at the top of the board when it came to frags, and both players contributed heavily to any momentum during the match. On the Rogue side of the match, we saw Spencer “Slashug” Oliver’s Nomad catch Rec players off-guard. Slashug’s Nomad proved formidable against Rec players who underestimated the power of the Airjab, which is often a fatal mistake. Overall, it appeared to be a more cohesive team effort on Rogue’s end of things. Great Jager plays by Franklyn “VertcL”Cordero and the aforementioned Slashug Nomad impressed throughout the match. Overall, the pre-stream survey proved to be an accurate depiction of what we would see during this match, with both teams bringing the match to 5-5, only to be broken by a 7-5 win for Rec. Rogue is now almost certainly removed from qualifying for finals. Rec will now look to secure wins in all remaining matchdays in order to have a remote chance of making the finals. Excelerate Gaming and DarkZero Esports fought it out on Border. DarkZero entered the match in the top spot and it showed in the form of the pre-stream survey standing at 74 percent in DarkZero’s favor, while Excelerate only garnered 19 percent of the vote. DarkZero predictably took round one, but overall the round seemed evenly matched with the last seconds coming down to a two-vs-two scenario. We did not get to see round two play out. The Pro League stream died and the round went on out of our view. Round three saw a diffuser deployed in a four-vs-one scenario that played in Execlerate’s favor. DarkZero allowed Excelerate to comeback from a 1-5 deficit to 3-6, which was an unexpected turn of events. Both teams demonstrated some solid teamplay, although it only benefited DarkZero in the long run. Compared to the somewhat discombobulated match we saw earlier in the day with Rec and Rogue, Excelerate and DarkZero seemed much more in-sync with their teammates. Overall, it was an odd match to watch. Plagued with connection issues, slower than average teamplay, and even a round win for DarkZero by playing for time, the match was a huge shift away from the chaotic play of Rec and Rogue. Odd isn’t bad, as there was a lot to appreciate in watching two teams behaving as teams, rather than individuals. Win or lose, both teams showed they they would do so together. DarkZero would ultimately be the team to secure the victory by locking up the match 7-3. Rise Nation came up against Evil Geniuses when the two teams clashed on Coastline. Rise approached the day sitting at the bottom of the NA division, while EG looked to close the one point gap that separated them from the top spot. The pre-stream survey showed a heavy bias in EG’s favor with the team garnering 73 percent, and leaving Rise with only 20 percent of the vote. EG clutched round one in an especially tense situation. We saw a one-vs-two, diffuser deployed situation on Kitchen. Emilio Leynez “geo” Cuevas fought to reclaim the site from two Rise attackers after already racking up two nitro kills. Geo managed to get the frag on the last attacker by baiting them to push Kitchen window when they saw him go to diffuse. With the attacker bamboozled, Geo was able to peek the window, secure the kill, and thus the round. EG carried that same momentum into the next three rounds, until the team allows Rise their first win of the match. EG somehow allowed Rise to come back from a 0-4 deficit and shift the match to 6-4 in Rise’s favor. We began to see the team that Rise nation can be at times. Rise proved consistent in their six round streak, and seemed to shake EG off of their game. EG seemed to forego teamplay in favor of individual play, which never goes well. After a six round dry streak, EG was able to secure a round win, putting the match in a peculiar situation at 6-5. EG looked for the tie, while Rise looked to prove that they don’t belong on the bottom of the board with a 7-5 victory. At the end of the match, we saw a draw of 6-6. Not only was this disappointing in terms of expectations, but for EG this puts them in a rough spot. Now EG will have to fight for scraps moving forward if this is any indication of where they are as a team. Leaving points on the table is never good, let alone when facing the bottom ranked team in the division. It will be an interesting matchday 12 for the NA division next week. If matchday 11 is any indication of what is to come, then we need to expect the unexpected moving forward. We’re bound to see some excitement next week with the stakes having automatically increased dramatically for the NA division. The only team that looks to be in a safe position is DarkZero. We’ll see how everything shifts and settles next week. Don’t forget to tune in for matchday 12 of the NA division next Monday. 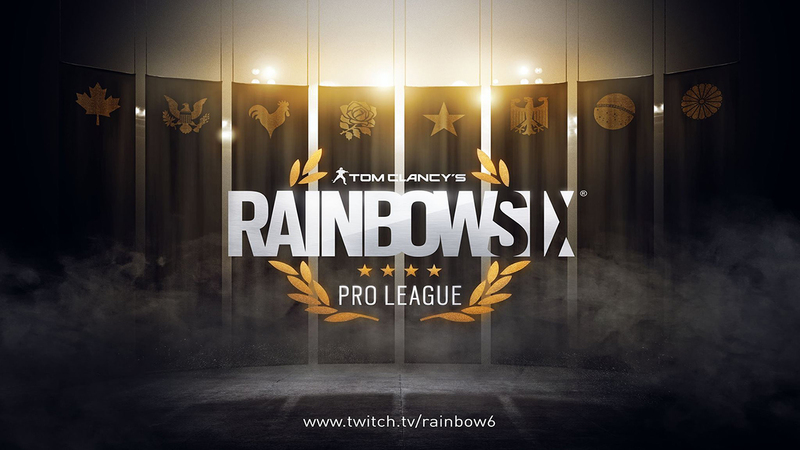 Fans can catch the official R6 Pro League broadcast here.